Stephanie Feldman's debut novel, The Angel of Losses (Ecco/HarperCollins), is a Barnes & Noble Discover Great New Writers selection, winner of the Crawford Fantasy Award, and a finalist for the Mythpoeic Fantasy Award. The book is now available in paperback. 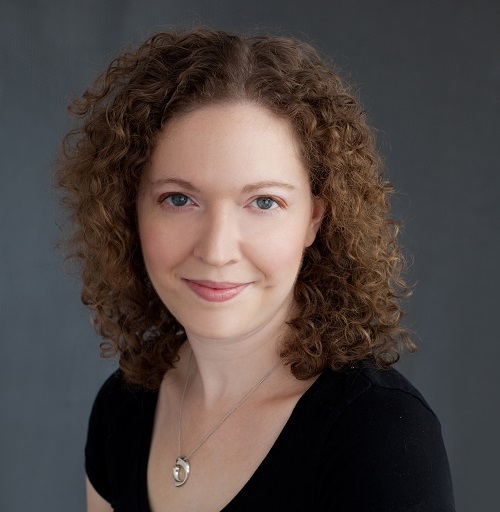 Stephanie is a graduate of Barnard College, and teaches fiction writing at Arcadia University. She lives outside Philadelphia with her family. My first novel is The Angel of Losses. It's about a young woman named Marjorie who discovers her late grandfather's notebook containing a dark fairy tale about a wizard and his partner (or enemy), the Angel of Losses. When a mysterious old man appears, claiming to have known her grandfather, Marjorie realizes that the tales hide the key not just to her grandfather's past but to an old threat that has returned to haunt her estranged sister and baby nephew. It's part gothic, part historical, but also a story about a contemporary family and how a new child can set it off its axis. I started the book before I had children. I began writing about Marjorie and her grandfather, and then about Marjorie and her sister Holly, and before long, Holly had a baby. I wrote and wrote about that baby, and finally realized how much I wanted a baby of my own. I finished the book during my pregnancy and my daughter's infancy. (She's three and a half now.) Motherhood made it more difficult to find time to write, but it also enriched the novel, my understanding of the characters and their relationships. I used to rely on writing binges, especially long weekends when I could shut out the world and generate big blocks of text to work with. Now, I have less time, and the time I have is more scattered. My goal is to get better at focusing and being productive with only 30 minutes or an hour. My family has certainly influenced my work--I have a new perspective on relationships, and my emotional experience has a new depth. On other hand, my art also gives me intellectual and emotional space apart from my family, which I need as well. parenting / has it changed since you became a parent? I thought I might feel guilty taking time away from my daughter to focus on writing--and I do, sometimes. (It's hard not to be guilty about something when you're a mother these days.) Mostly, though, I've become more committed to producing good work. I want my daughter to be proud of me. My daughter definitely gave me insight into motherhood--both the desire to be a mother, and the intense attachment a parent has for a new baby--which was essential while writing this book. I'm thinking about a future project that focuses more on how parenthood can change you--your hopes, your options, your relationships--and I'm wrestling with how I can use my experience without violating my family's privacy. I like to think there's a way to balance emotional honesty and personal privacy, but it's a difficult line to walk. In the meantime, I'm at work on a novel with no children at all--I spend most of my time caring for my daughter, and it seems I need a mental vacation from that world! difficult obstacles you’ve had in regards to parenting and your art? I find it much more difficult to focus, even when my daughter is out of the house and I have time to work. I'm not sure if it's the burden of being responsible for another person, or if my brain has been rewired by an infant's need for constant attention--probably a little bit of both. I always took writing seriously, but now my writing is important—important enough to give up a couple hours of sleep, important enough to take time away from playing with my daughter. I think sometimes it's hard—particularly for women—to treat oneself and one's art as valuable. I don't think I've mastered escape yet! It's nice to get out of the house, by myself or with friends, but I think the most restful escape is still in a good story, a transporting novel or movie. Everything is temporary. You may find your interests changing; you may find you're too exhausted to read or write; you may be desperate to write but unable to find the time. Don't despair. Ride it out. Don't allow art or self-care to fall to the bottom of your priority list, but don't be hard on yourself if your work slows down either.